Dr. Kennedy has created a dental practice that offers the best of both worlds -- a brand new state-of-the-art facility and a soothing environment. When looking for quality dental care, it is important that your dentist is willing to listen to you. Dr. Kennedy listens to your concerns. We believe that your time is very important and therefore we place great importance on keeping appointments at their set time. Our service-driven staff works hard to ensure that you are seen as quickly as possible. Most important, we want you to feel comfortable and well informed. We take the time to go over all your options where treatment and finance are concerned. We make sure you understand exactly what we are doing, so that every visit is a pleasant one. 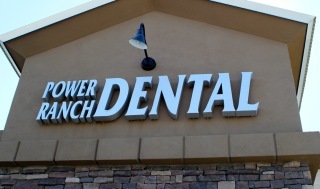 Ultimately, we want you to remember our sincere approach to creating a pleasant dental experience. We are thrilled to welcome you to our family and to our new dental practice, where you will always feel like a special guest!